← STANTON DREW 56 – HAPPY CHRISTMAS!!! There are earlier Modern Housing posts here: 1 2 3 4 5 6 : each will open in a separate window. The first image in the Outer Suburbs series, with context, is here: 1 . Subsequent images are here: 2 3 4 5 6 7 8 9 10 11 12 13 14 15 16 17 18 19 20 21 22 23 24 25 26 27 28 29 30 31 32 33 34 35 36 37 38 39 40 41 42 43 44 45 46 47 48 49 50 51 . Each will open in a separate window. 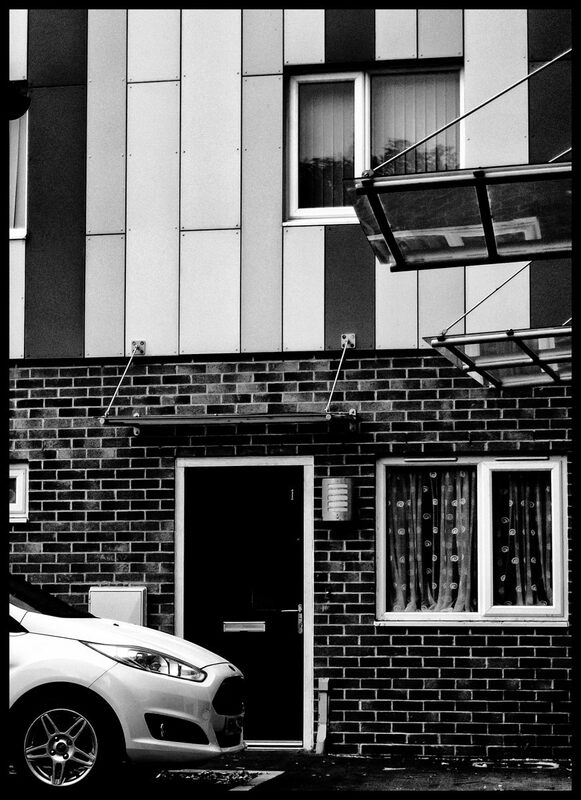 Technique: TG-5 at 80mm (equiv); 640 ISO; Lightroom, using the Camera Vivid film simulation; Silver Efex Pro 2, starting at the High Contrast Harsh preset; south Bristol; 20 Aug 2018. Super shot, so well composed.